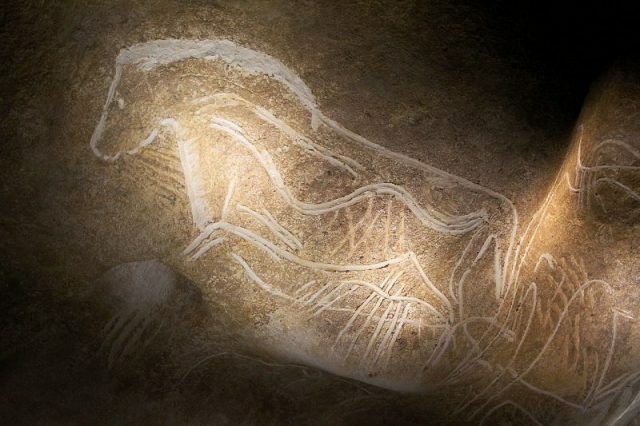 If you visit Chauvet Cave in the Ardèche region of France, you will be witness to an art site that dates back over 30,000 years. According to the website Experience Ardèche, the caves were discovered by accident in 1994. 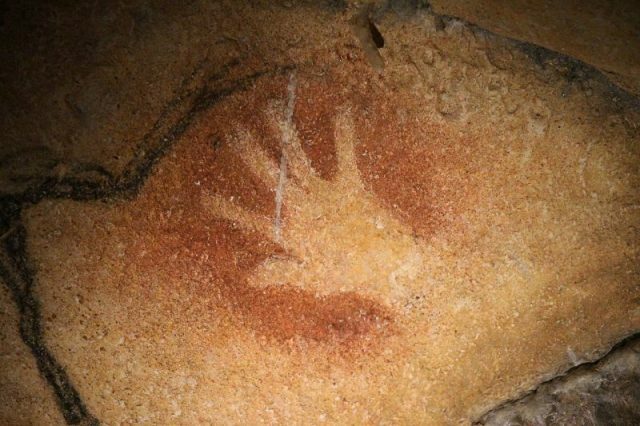 Local men were caving when they came across what has now been identified as one of the oldest pre-historic art caves in the world. Christian Hillaire, Eliette Brunel-Deschamps, and Jean-Marie Chauvet stumbled upon the cave one day. Once inside, they discovered the over 1,000 unique cave paintings. 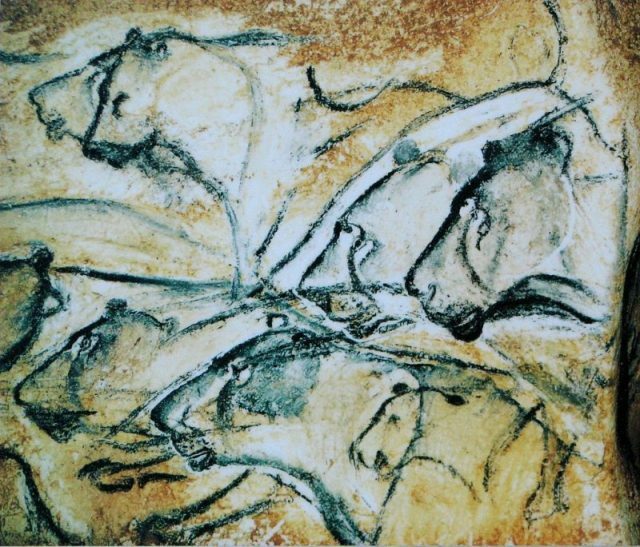 Experience Ardèche tells us that the drawings were of animals, such as horses, lions, and bears. More interesting, they say, is that the paintings used modern techniques such as perspective and movement. In her article from 2007, Emma Groeneveld explains that researchers have confirmed the caves were inhabited on at least two occasions by humans. The first period was between 33,500 and 37,500 years ago. Humans again occupied the cave some 27,000 to 32,000 years ago. Scientists have determined that after that, the cave remained unopened for at least the past 21,000 years. According to Groeneveld, the artists made paint from charcoal or manganese dioxide along with red pigment. They painted on the cave walls by firelight and this likely enhanced the use of shadowing and technique. Artists in that time would paint using rocks, brushes or even their hands. 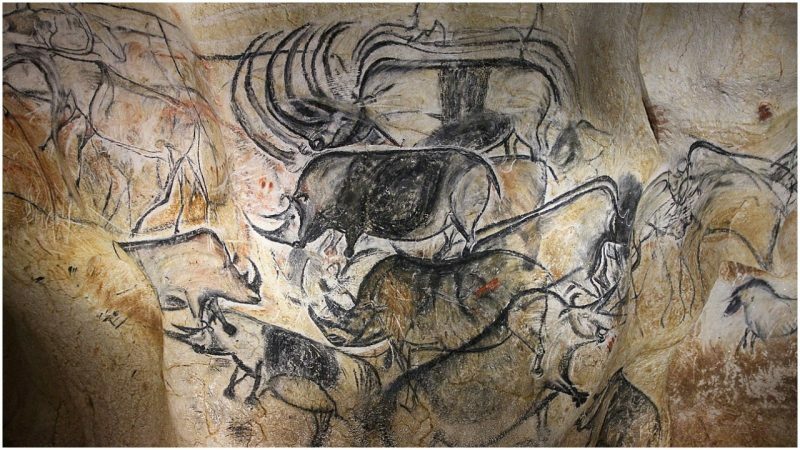 What makes the paintings in Chauvet Cave unique is that you can tell the walls had been prepared as a natural canvas before applying the paint. The walls were flattened and smoothed to make them ideal for painting. Replica of Painting of Lions. In their piece on the Chauvet Cave, ThoughtCo tells us that the cave is divided into two rooms, joined by a common hallway. The front room contains painting mostly in red paint while the back room primarily consists of darker painting, in black or charcoal. 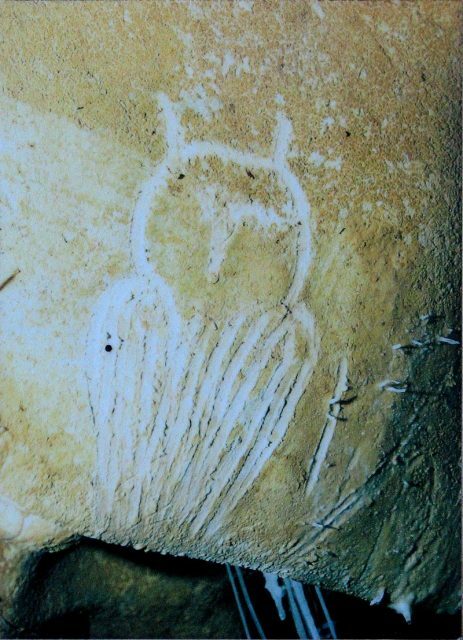 Engraving of an owl from the Chauvet cave. There are complete drawings of animals, including an entire pride of lions. The technique is almost three-dimensional, making it appear as if the animals are perched to leap off the walls at any moment. In the very back of the cave, Groeneveld reveals that intricate drawings were discovered. There was a scene of a pride of lions, tensely posed, staring at a pack of bison. You can tell that the artist was drawing a hunting scene. Strangely, there are paintings of more than just animals in this back section. 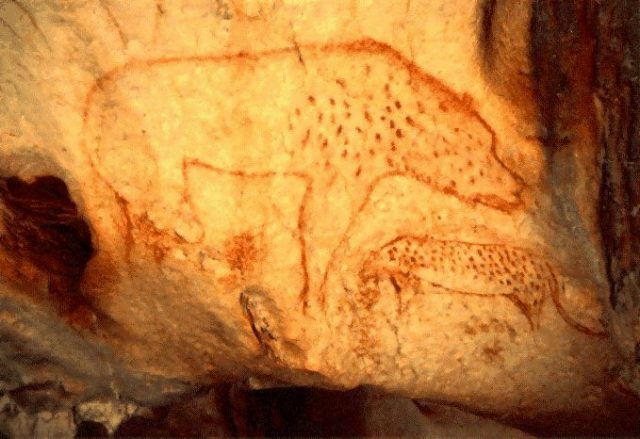 Cave hyena (Crocuta crocuta spelaea) painting found in the Chauvet cave and made public on January 17, 1995, by the Minister of Culture Jacques Toubon. There are pictures of something called the “Sorcerer.” Groeneveld describes it as the lower half of a woman’s body with the top half of a bison, with a horned head. There is no concrete explanation for what this represents. Humans were in these caves as they expressed their visions on the cave walls. Evidence of both human and animal life includes, according to ThoughtCo, animal bones, iron spearheads and even a human footprint. There is, of course, a debate over just how long-ago humans occupied the caves. Some researchers have used radiocarbon measurements to try to calculate the age of the caves. They can test radiocarbon on the animal and human bones as well as on the paint found on the walls. 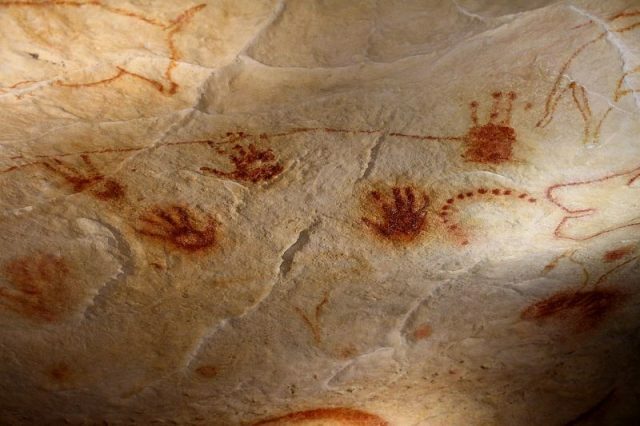 Some scientists argue that the radiocarbon existed in the caves before the paintings. The radiocarbon — a molecule that helps in determining the age of organic material — could have attached themselves to fossils and materials, thus skewing the actual age of the items. While all of this testing has been taking place, mostly for over 20 years, the cave has been sealed off to the public. However, in 2014 the cave received UNESCO heritage status. People were excited to see the cave and its paintings. 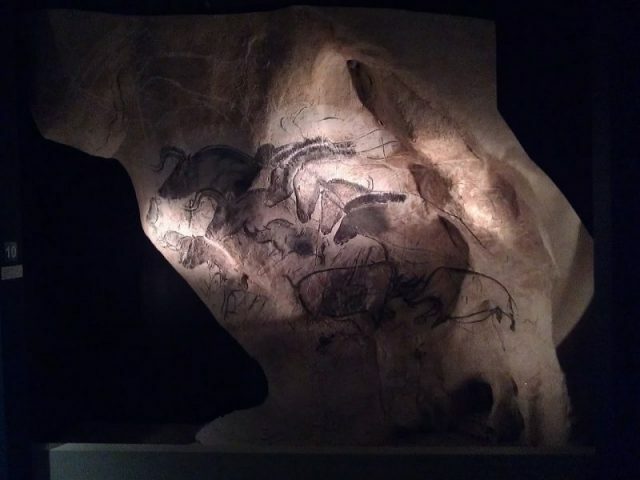 Experience Ardèche tells us that to let people get an idea of what had been discovered, they created a reconstitution of the Chauvet Cave to preserve the original and opened it up to the public in April of 2015.